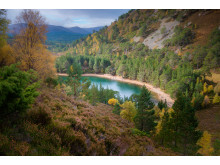 A new audio tour through the majestic Cairngorms National Park is set to tickle the taste-buds of visitors. Cooking in the Cairngorms with Ghillie has been created by Ghillie Basan in collaboration with Geotourist, which sponsored the Innovation in Tourism category at this year’s Scottish Thistle Awards National Final, Scottish tourism’s premier awards ceremony. Beginning at Dalwhinnie, the GPS audio Geotourist trail, featured on the Geotourist app, takes in Aviemore and the Glenlivet and Braeval distilleries as part of its nine stops, arriving at Ghillie’s croft and whisky barn, where she runs regular cookery workshops. National tourism body, VisitScotland, hopes it will encourage visitors to get out and explore this wonderful part of the country and to understand for themselves the stories, businesses and people who work and live in the areas that they visit. 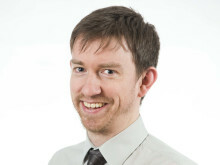 Writer and broadcaster, Ghillie is one of the presenters on the Radio Scotland's Kitchen Cafe. She also runs international cookery workshops and whisky experiences at her home in Cairngorms National Park. 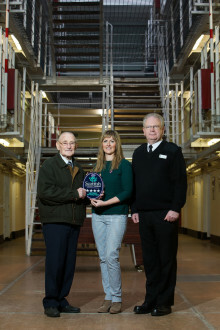 She picked up the Innovation in Tourism award at the Highlands and Islands Tourism Awards last year and represented the region at the Scottish Thistle Awards National Final held in March. Ghillie may not have won the national prize – losing out to Loch Earn Tourism Information BLiSS Trail – but she is hoping to win over visitors with her foodie-inspired tour. Geotourist is delighted to be working in partnership with the five national finalists in its sponsored category from the 2017/18 awards, with tours and trails currently in production in every region in Scotland. Nominations and entries for the 2018/19 Scottish Thistle Awards are now open. Ghillie Basan, writer and broadcaster, said, "Hospitality is at the root of everything I do. I have travelled all over the world and have always been humbled by the hospitality I have received, often from the poorest people who share what they have. I like to welcome people to my home to share what I have and bring my knowledge and stories alive in my books, cookery workshops and whisky experiences to give visitors an unforgettable experience. 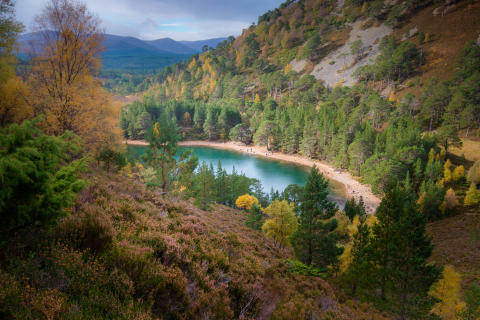 Jo Robinson, Regional Director at VisitScotland, said: “It’s the wonderful wildlife, stunning landscapes and adventurous activities which make Cairngorms National Park hugely popular amongst visitors to Scotland. “The majority of visitors to the region cite sightseeing as their main activity and we hope this new trail, offering a unique personal journey, will inspire visitors to get out and about and explore what there is to see, do – and taste – in the park. Shaon Talukder, CEO at Geotourist said: “We are delighted to be working with Ghillie and helping her to tell her story. What has made the project reflect the idea and concept of provenance much more is the fact that Ghillie was able to bring her own connections on board to create a more meaningful and connected tour. The Scottish Thistle Awards rewards hotels, restaurants, B&Bs, visitor attractions, business and consumer events, and individuals who go that extra mile to provide customers with exceptional service. Last year’s competition saw a record-breaking 750 entries to the competition. Regional finals are held for: Central, Fife & Tayside; Lothians & Borders; West; Highlands and Islands, organised by the Highlands and Islands Tourism Awards; and Aberdeen City and Shire, organised by Aberdeen City and Shire Tourism Awards.